From March 25 to April 5, governments met at the UN Headquarters in New York to further advance negotiations on a new legally binding instrument to protect and sustainably use marine biodiversity in areas beyond national jurisdiction (ABNJ). It is expected that by 2020, governments would agree on establishing a new treaty covering four central issues, which are currently not sufficiently regulated under existing maritime law: 1) Marine Genetics Resources (MGR), 2) Area-based Management Tools (AMBTs) as well as Marine Protected Areas (MPAs), 3) Environmental Impact Assessment (EIA), and 4) Capacity Building and Marine Technology Transfer (CB&MTT). While the overall objective of the treaty is to create a framework to conserve and protect BBNJ, it also carries the potential to act as a vehicle to close substantial gaps between developed and developing countries in exploring and exploiting the oceans. 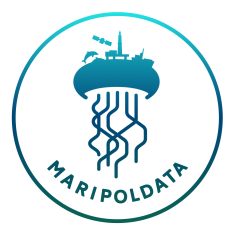 During the first week of negotiations, we observed discrepancies between governments as wide ranging as if the principle of “Common heritage of mankind” should be applied to marine biodiversity in ABNJ or not (see MARIPOLDATA blog from 1st of April). In the following, we will give an account of the second week of negotiations, in which we participated as observers and as part of the delegation of the International Studies Association (ISA). The second week started off where the first week had ended: with agenda item three Environmental Impact Assessments (EIA) and the idea that some kind of assessment of potentially harmful effects on the health of marine ecosystems and of marine biodiversity should be undertaken before a state or a company may explore, exploit or pursue any activity in ABNJ. The essence of this agenda item tackles “who” is entitled or obliged to undertake “what” kind of assessment, “how” and based on what criteria. Because an EIA would cover areas that are not under the responsibility of a nation state but may be located in close proximity to the Exclusive Economic Zones (EEZs) and national territories of a coastal state, tensions emerged as to who will conduct environmental impact assessments, how and on what. The views of governments on the “who” question, mainly differed in relation to whether it should be a state-driven or a science-driven process. Many governments wished to retain the decision-making power to initiate and conduct EIAs to states themselves; others preferred creating a scientific body, which would receive the authority to independently perform these tasks. Some national delegations, particularly from the group of the Pacific Small Island Developing States (PSIDS) emphasized the concept of adjacency in this context. While adjacency was until now understood as the geographical proximity of a state´s EEZ to the area beyond national jurisdiction which is to be managed, PSIDS argued that, it should not only be understood in terms of geographical, but also ecological proximity. They justified their claim by referring to the concept of “ecological connectivity”. “Ecological connectivity” can be defined as “a complex natural phenomenon linking various components of marine ecosystems in time and space” (IIED 2019). According to the International Institute for Environment and Development (IIED) “ecological connectivity” between ABNJ and coastal waters occurs via two distinct processes: (1) passive circulation-driven connectivity and (2) migratory connectivity” (ibid). It must be noted that such a definition – although widely accepted in the academic realm – is not yet in the BBNJ draft. While the understanding that animals and water masses in the ocean move and connect large parts of the planet may not sound particularly surprising, it does bring substantial difficulties for the governance of marine biodiversity in ABNJ. It is through side events, organized by NGOs, scientific communities and other stakeholders, that such debates are addressed and discussed in the framework of the BBNJ process. For example, “ecological connectivity” was addressed in more depth during a side event hosted by the International Institute for Environment and Development (IIED). According to Ekaterina Popova from the National Oceanographic Centre in Southampton UK, “ecological connectivity” is a rapidly developing research area, which highlights many aspects that should be considered by policymakers. Understanding and acknowledging the effects of “ecological connectivity” in this way comes with consequences and questions for policymaking. How should states conserve a population of migratory species that directly crosses the Exclusive Economic Zones (EEZ) of a large number of countries as well as areas beyond national jurisdiction (ABNJ)? This issue was discussed in a side event hosted by the World Conservation Monitoring Centre of the United Nations Environment Programme (UNEP-WCMC). At this occasion Daniel Dunn from Duke University and Steven Fletcher from UNEP- WCMC introduced “Mico”, a platform allowing scientists to jointly investigate migratory connectivity and make this information accessible to everyone. 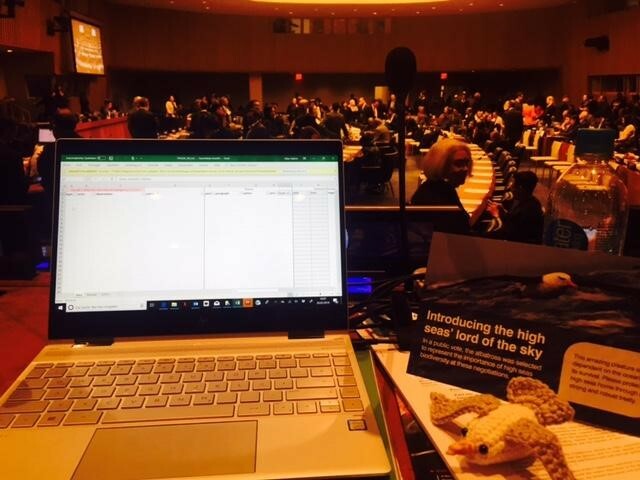 Such research efforts have shown that fish stocks of high seas and in EEZs are interconnected, or as one delegate put it: “fish do not have passports”. While recognizing “ecological connectivity” in the BBNJ process would significantly increase the scientific credibility and evidence base of a new treaty, it also comes with important consequences for how the responsibilities and duties of states would be distributed. If “ecological connectivity” is included in the instrument, adjacent states would for example play a particular role in assessing impacts of activities in ABNJ, because their EEZs and coastal zones are particularly affected by them, for the good and the bad. The concept of “ecological connectivity” was not only mentioned in the discussion about “who” should be in charge of EIAs but also played a particularly crucial role regarding questions on “what” should be assessed. 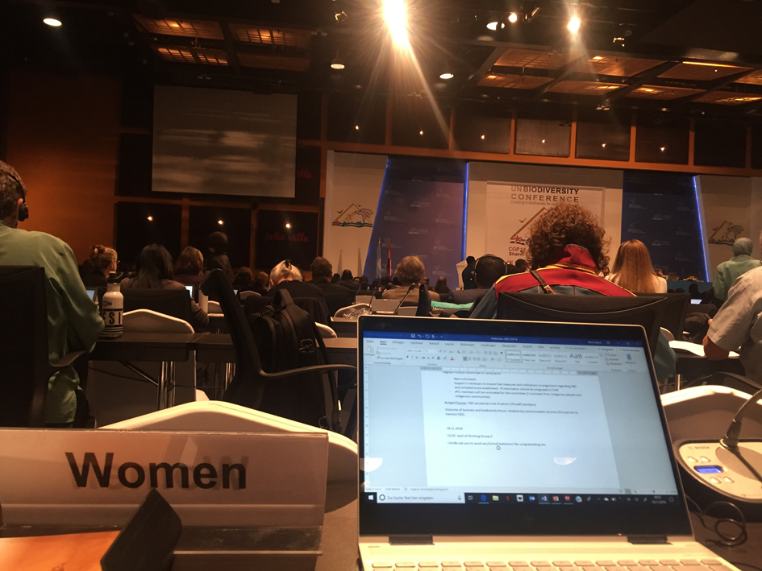 The room was divided between governments that prefer an activity-based approach – evaluating which activities in ABNJs are harmful to the environment – and an impact-based approach, which would evaluate the potential impacts of any activity on the environment. Assuming that an EIA would be conducted following the impact-based approach and under full recognition of “ecological connectivity”, the regulations for pursuing economic activities on the high seas would become potentially much stricter. In such a case, the state or company would have to demonstrate that the proposed activity would not only be harmless to the area where it will be conducted, but possibly also to all connected species in national waters. In such a case, adjacent states, whose EEZ might be particularly affected would be given a special role in conducting such environmental assessments. What is the legitimate knowledge to assess the state of our oceans? Almost all states agreed that environmental impact assessments should be based on the “best available science”. However, there was less agreement if, and if yes to what extent EIAs should rest upon a fixed set of internationally agreed and globally applicable criteria. Should there be a minimum standard for EIAs or a flexible framework to account for already existing regional or national best practices? Or should the opportunity of a new global treaty be used to formulate ambitious criteria to be applied to all EIA on BBNJ? A list of content-requirements for EIA was part of the negotiated text, but could not be agreed upon. While some states argued for a rather thin outline, other governments- specifically from the global south- proposed to include many specific content-requirements such as socioeconomic impacts and the description of alternatives to the proposed activity. Some developing states also highlighted that “best available science” and shared criteria for EIAs also imply that the new treaty should recognize the need of developing countries to be empowered to contribute to the production of ocean science considered for EIAs, especially, if they are based on a specific set of internationally agreed ambitious criteria. Otherwise, many countries would be limited in their contributions to developing a shared scientific knowledge base for EIAs. This brings us to the question of what counts as legitimate knowledge on biodiversity beyond national jurisdiction. Many governments from the global south, specifically from the group of the like-minded Latin American countries and the Pacific Small Island Developing States argued that traditional knowledge should be equally recognized and integrated into EIA. They highlighted the fact that local and indigenous communities living in coastal areas have developed extensive knowledge on marine biodiversity, because of their dependence on ocean ecosystems and the practices they have developed to live with and from the ocean. They hold knowledge on species diversity and other characteristics of oceans ecosystems, which has been passed from generation to generation over centuries and which therefore should be included into the body of knowledge relevant to EIAs. Those governments that supported the inclusion of TK also argued that what scientists describe by using the term “ecological connectivity” is at the core of what local and indigenous people have experienced and captured with the notion of interconnectivity for a long time: the relation between humankind and the ocean. Whilst there was agreement that traditional knowledge should not substitute, but complement modern science, governments had different views on how to bridge the gap between those that have advanced scientific and technical infrastructures to conduct ocean science in ABNJ and those that have not. 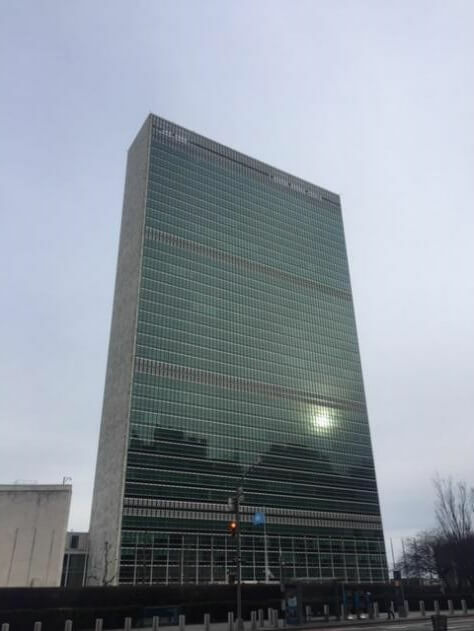 developing states support the idea to include the “common heritage of mankind” into the text of the new instrument, because it would support the idea of mandatory and monetary forms of capacity building, which could account for a distribution of benefits resulting from marine scientific research on BBNJ. In contrast, many developed states preferred non-monetary forms of capacity building such as through the sharing of information on research cruises activities and of specific oceanographic data. The views on what falls under capacity building, how detailed the list of tasks should be and how such processes would look like in practice differed significantly and remain to be discussed at the next BBNJ negotiations in August. After governments addressed the four packages of the new treaty, they turned to issues related to the implementation and design of the new instrument, including its decision-making body, the establishment of a scientific advisory body and other matters related to the way in which the future treaty should operate. Many governments pointed to the fact that such issues can only be addressed if the content of the treaty is agreed and that duplication with other existing treaties and instruments should be avoided. Nevertheless, some governments showed more willingness to establish a robust and all-encompassing institutional setting than others. While Russia, the US and Japan opted for minimalistic arrangements, many developing states refereed to (elements of) the United National Convention on Climate Change (UNFCCC) and the Convention on Biological Diversity (CBD) as potential role models for the new treaty. The second intergovernmental session came slowly to an end. Governments expressed the wish to receive some kind of zero draft containing all options for which there was support during the two weeks of negations as a basis for the third intergovernmental session in August this year. Negotiations started and ended with a very positive atmosphere and despite many divergent views on a number of issues delegates and chairs kept a positive attitude, which everybody present in the room could sense. The positive spirit was, however reversed abruptly, when a delegate from the EU took the floor on a rather formal and – at the first glance- less contentious issue introduced by the president of the negotiations towards the end: the credentials of governments, which took part in the negotiations. The delegate from the EU started her intervention by questioning the credentials of Venezuela. The room was silent, and delegates were looking at each other seemingly anticipating the reactions that this statement would cause. The delegate of the EU continued and pointed to the current situation in Venezuela, the disputed presidency of Nicolás Maduro and the EU´s support for Juan Gerardo Guaidó Márquez, who is recognized as acting President of Venezuela by 54 governments. Under these circumstances, the Venezuelan participation in these negotiations would not be legitimate. A cascade of interventions from Russia, Syria, Venezuela, Cuba and Nicaragua followed, sharply criticizing the EU for its statement, which would destroy the positive spirit of the BBNJ negotiations and the consensus-oriented process between governments so far. The EU`s statement would contradict the UN principles and the sovereignty of states, which forms a baseline for multilateralism, which the EU would perpetuate by questioning Venezuela’s credentials. It was the first time during the two weeks that Venezuela took the floor in the negotiations, pointing to the sovereignty of its country and the democratic legitimacy of its president. The EU delegate, which made the intervention, was shaking and the tension in the room was remarkable. Subsequently Peru made a statement on behalf of several Latin American countries, Canada, the Czech Republic and other governments proposing that credentials should be accepted, but that these countries share concerns over developments in Venezuela and the legitimacy of Maduro. The president proposed to accept Venezuelan credentials and the issue on credentials was thereafter closed. While the tensions regarding Venezuela’s credentials came as a surprise for most observers, they unpleasantly reminded us that multilateralism is fragile and symbolic power not as symbolic as one would wish. 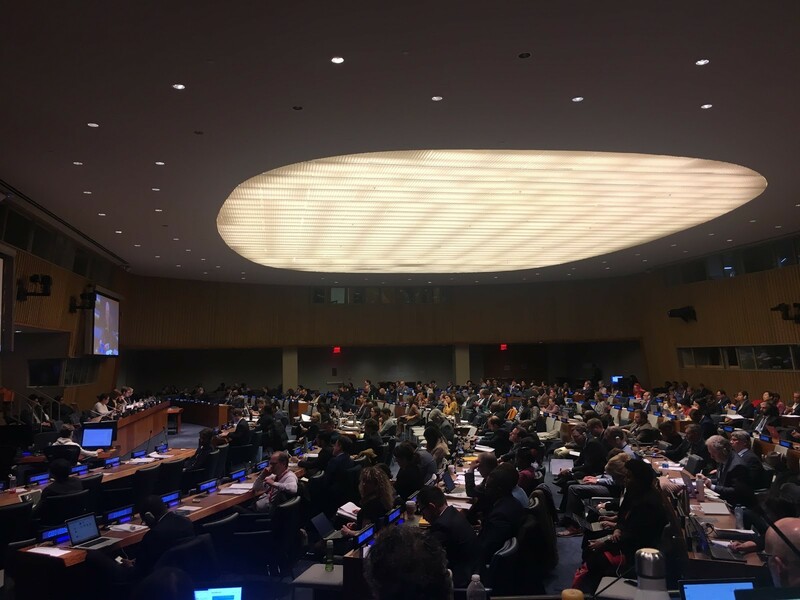 From March 25th to April 5th 2019 the second round of negotiations on an international legally binding instrument for the conservation and sustainable use of marine biological diversity of areas beyond national jurisdiction (BBNJ) is held in the UN Headquarters in New York. The new instrument -if governments agree- will be established under the United Nations Convention on the Law of the Sea (UNCLOS) and addresses gaps in current international law related to the governance of marine biodiversity in international waters. A third and fourth round of negotiations taking place in August 2019 and spring 2020 are expected to lay the ground for consensus on a new instrument shaping the conditions for how we study and use marine biodiversity in the future. Fairness in exploring and exploiting the oceans? The questions, which governments address, are wide-ranging and the proposed solutions carry the potential to transform how we study and govern our oceans in the future. How can the interests of different governments on the use of marine biodiversity be balanced with the need to protect and conserve marine biodiversity for future generations? This week, governments addressed the issues of Marine Genetic Resources (MGR) and Areas-based management tools (ABMT) and Marine Protected Areas (MPAs) based on the President’s aid to negotiations, which was developed to facilitate the negotiations and give an overview on all options that had been proposed by governments during the Preparatory Committee and the first session of negotiations, which took place in New York in September 2018. What are the criteria for identifying areas in need of protection? Who can apply these criteria and designate new Marine Protected Areas (MPAs)? If designated, who has the authority to manage and monitor these areas and do certain governments have more responsibilities in doing so than others? Should the technology gap between governments from the global north and the global south and the different capabilities of states to explore and exploit biodiversity beyond national jurisdiction be addressed, and if yes how? Does a new treaty imply changes to existing legal frameworks of the law of the sea? As government do not seem to want any changes to the existing framework, what is it then that a new treaty will actually do? The debate about marine genetic resources deals with the possibility to use a variety of species living in the deep sea for commercial purposes by decoding and analyzing their genetic information. Although knowledge about marine genetic resources and about the potential fields of application is largely lacking up to date, the sheer possibility that genetic information of species found outside of national jurisdictions could become commercially exploited in the future makes this debate a fundamental one. In the negotiations, it quickly became clear that a substantial divide between developing countries and a number of developed countries exists. It had been agreed that some sort of benefit sharing should take place in relation to marine genetic resources and the future commercial use of them but the scope, the process and the rules under which the benefits would be shared caused disagreement. Is the genetic information of deep sea species a common heritage of mankind? Several countries such as the Pacific Small Island Developing States (PSIDS) and Brazil on behalf of the Latin American and likeminded countries favour that marine genetic resources should be treated as “common heritage of mankind”. This principle of “the common heritage of mankind” underpins the current international seabed regime, meaning that all resources found on the seabed in areas beyond national jurisdiction belong to all humans and future generations equally. They are “common goods”. In consequence, if a company wishes to exploit natural resources in the seabed it is obliged to share the benefits. The International Seabed Authority (ISA) is mandated to make sure that all benefits arising from the exploitation of minerals lying on the seabed in areas beyond national jurisdiction are fairly distributed. Some developed countries such as the USA however, strictly reject the application of this principle to marine genetic resources and prefer a process in which companies or states share in a voluntary way and only are supposed to share non-monetary benefits. Non-monetary benefits could include for example genetic repositories and other scientific capacities, including the transfer of marine technology. It was proposed to establish an open access data sharing mechanism in form of a one-stop clearing house, which contains not only genetic repositories but also information about date and place of excursion cruises. From a scientific perspective it was noted that the sharing of data, samples and repositories exists as common practice and that the potential treaty should thus go beyond the existing practice, enabling more international scientific cooperation without placing complicated regulation on scientific research. Following these considerations, it was discussed how such a clearinghouse mechanism should be designed. After all parties presented their opinion on the topic of MGRs, the president moved the negotiation to the second item of the President’s aid, namely the topic of Area Based Management Tools such as Marine Protected Areas. In this item, it was crucial to determine who could establish a marine protected area and based on which criteria. The room was divided on this issue. Countries such as the US and China prefer to create a process in which only states can propose marine protected areas and subsequently have to decide upon the establishment unanimously. Most of the parties such as the EU however, argue that a mechanism is necessary for cases when consensus cannot be reached and the decision-making body would effectively be blocked. Furthermore, some states proposed to open the process of identification of areas that qualify for a MPA to scientific bodies or other non-state parties. Disagreement also existed on the question whether MPAs should be management and chosen according to the precautionary principle or according to the precautionary approach, which would include weaker rules. On Friday, the floor was opened to give a first impression into the different positions concerning the conduction of environmental impact assessments (EIA). Again, states differed on the view whether such a process should be led by an independent scientific body or by the states themselves. The first week of negotiations was marked by a very positive atmosphere and the willingness of governments to make progress was very visible through several interventions made. The chair opened the negotiations using the metaphor of a “canoe”, in which all governments are sitting and where everybody has to engage equally to make the canoe move. The metaphor was picked up by some governments and NGOs as well as representatives of scientific communities that signaled their commitment to the process and their willingness to advice, where necessary. The number of observers and representatives of Intergovernmental Organizations (IGOs) and NGOs, was higher than at the first session and it seems that interest in the process has generally increased. Each day, two to three side events were organized by IGOs, NGOs and scientific communities to shed light on the most pressing issues and for the purpose of sharing expertise and experiences across different stakeholder groups. In one side event, organized by the International Oceanographic Commission (IOC) of UNESCO, scientists presented ongoing efforts to establish global databases for sharing marine biodiversity data among scientists. The side event was very well attended, inter alia by representatives of the EU and the US, who asked questions about the practicalities to establish some kind of repository under the new instrument through which information on scientific activities on the oceans could be shared and capacity building for developing countries be supported. Negotiations will continue until the 5th of April. Ideally, a zero draft for the third session in August will be ready by then. However, this depends on how the current discrepancies between the different interest groups are resolved and what language will be found to bridge contradictory red lines between government positions. From the 17th to the 29th of November 2018, governments met in Sharm El Sheik, Egypt, to negotiate issues related to the protection and sustainable use of biodiversity in the framework of the United Nations Convention on Biological Diversity (CBD). “Marine and Coastal Biodiversity” was on the agenda, which is why I participated in the negotiations as a representative of the University of Vienna and in my position as a Principal Investigator of MARIPOLDATA. In the following, I will give an account of the negotiations and shed light on the tensions that emerged between governments and what these tensions tell us about the place of science in international marine politics. 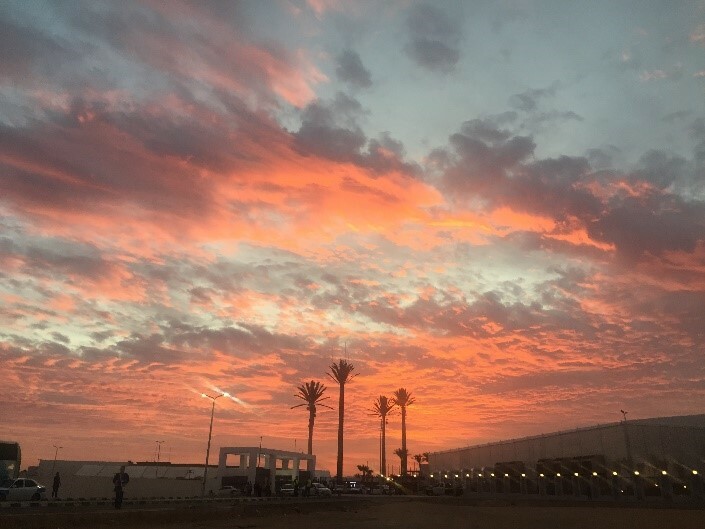 The 14th Conference of the Parties of the CBD was held at the International Congress Center (SHICC) of Sharm El Sheik, close to a seemingly provisional bus terminal, where buses regularly shuttled between the conference hotels, mostly located at the seaside, and the conference venue, which was rather remote. Arriving from the Airport in the middle of the night, one could sense that Egypt was more than proud to host the 14th COP. The airport and the highways were covered by large posters welcoming delegates from all over the world, national delegates, representatives of NGOs, local and indigenous communities, business, academia and research and other UN agencies and bodies. COP 14 belongs to the so-called “mega-event”, where high diplomacy is performed and where, for the period of two weeks, the global biodiversity community from A like African Development Bank Group to Z like Zoological Society of London met.148 governments and 3828 individuals participated in the negotiations. The size of the national delegations varied significantly. While the German delegation, for example, comprised 36 delegates, Brazil sent 66 representatives and Bolivia 4. Austria sent 25 delegates, a rather large number, which can be explained by the fact that Austria had the EU Presidency and was in charge of organising the EU position and speaking on behalf of its member states. Because of security issues, some governments did not send any representative; other governments restricted travelling of their delegates to Sharm El Sheik and Kairo. Fouda, Minister Advisor on Biodiversity, is himself a marine biologist. 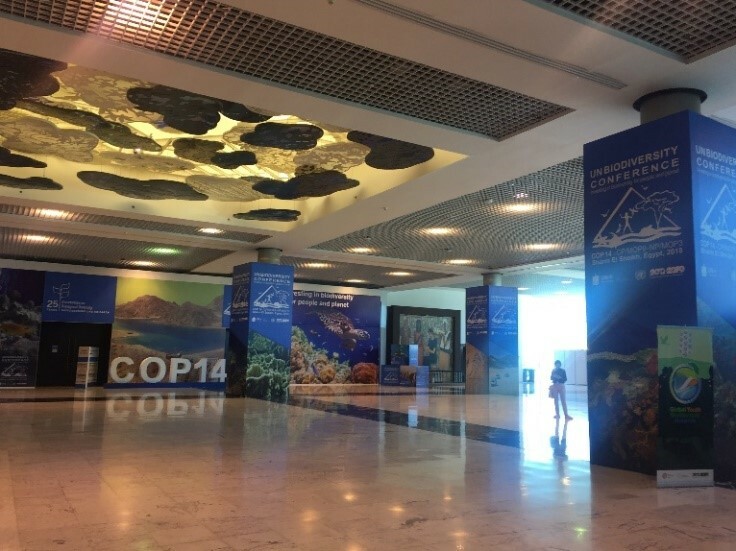 Marine and coastal biodiversity of the red sea was present at the venue through pictures and advertisements covering the walls and rooms of the Congress Centre, which nearly gave the impression that the whole COP was actually about marine issues. Several side events addressed marine biodiversity and were used by government representatives and representatives of NGOs and academia, to discuss progress made in implementing Marin Protected Areas (MPAs), marine biodiversity monitoring programmes, technologies and practices. 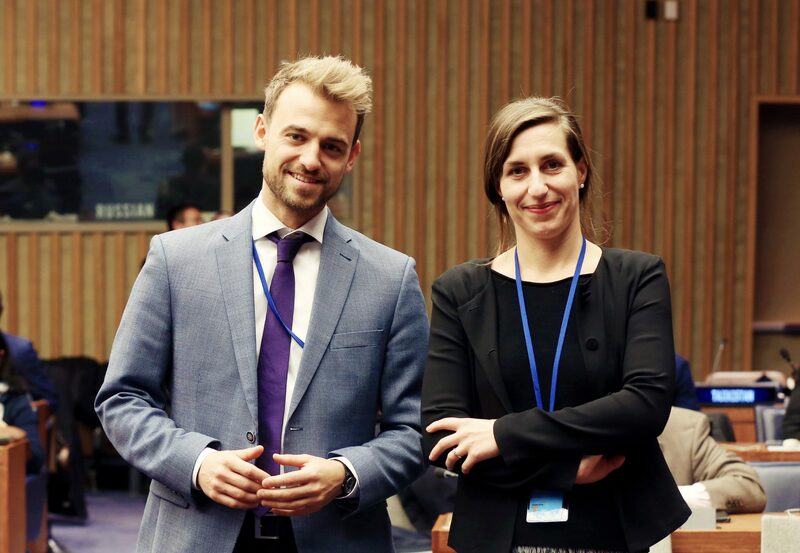 On Saturday, November 23rd, during the break from negotiations, a “Sustainable Ocean Day” was organised by the CBD Secretariat, in which surprisingly most of the national delegates, which took part in negotiations on marine issues, participated. Including myself. 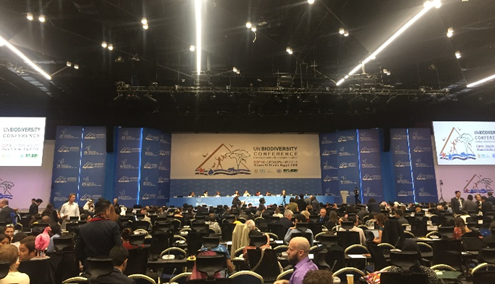 marine biodiversity turned very quickly into a controversial issue, which the partly opposing view of some delegations showed. Tensions emerged regarding the symbolic constraint on national sovereignty and jurisdiction, potential effects on conflicts related to disputed marine areas, and the recognition of the United Nation Convention on the Law of the Sea (UNCLOS) and its on-going efforts to establish a new legally binding instrument for marine biodiversity in areas beyond national jurisdiction. Governments, who had to call their capitals for further advice, constantly interrupted negotiations. Why is marine biodiversity so controversial? In 2008, CBD COP 9 decided to address the protection and sustainable use of marine biodiversity through a “purely scientific process”, particularly to avoid conflicts related to the United Nation Convention on the Law of the Sea (UNCLOS), which is not recognized by all member governments of the CBD (e.g. Turkey, Venezuela, and Columbia). The idea was to tackle the protection of marine biodiversity beyond national jurisdiction through regional workshops, where scientists could make the first move by synthesising marine biodiversity data for identifying ecologically or biologically significant marine areas (EBSAs) in need of protection in open-ocean waters and deep-sea habitats (COP IX/20). The EBSA descriptions rely on different types of data and the scientific input of experts nominated by governments and relevant organisations. In a final step, the draft descriptions as produced by the experts, including geo-locations and scientific references, are compiled into negotiation text and then adopted by governments before being entered into a digital repository. Since 2008, more than 300 EBSA were described and approved by governments. Some of them are located within national jurisdiction, others in areas beyond national jurisdiction, and some in territories of two states and in international waters and so on. However, once entered into the repository, how can the descriptions be changed and new ones added if they belong to an area already covered by a workshop? In other words, borders were the Pudels Kern, which is why negotiations “came close to collapsing” (ENB 2018, p. 2) . Therefore, when the chair opened the floor for intervention, almost 40 governments asked for it and made rather detailed interventions on the proposed text. They continued to the break and had to stop, because of plenary. They continued the next day when the chair had to conclude that a contact group had to be established to balance the diverging views of the different delegations. The contact group met 5 times and negotiations often progressed until midnight. The most difficult part concerned the modalities for changing EBSAs located in national waters of one state. While China, Korea, Singapore, Turkey and Japan, were in favour of establishing an intergovernmental process, the EU (mostly because of the UK and Greece), New Zealand, Argentina, Columbia and Brazil opted for a national process. Columbia in line with other governments such as Brazil and Argentina underlined the superiority of national sovereignty over national waters. An interesting question remains why China, Korea and Japan formed –at least until the last day- a coalition to support the idea of an intergovernmental process. One could speculate that an intergovernmental process enables governments to control the behaviour over others, particularly regarding disputed marine areas. If the EBSAs already agreed on are changed through a purely national process with no reporting obligations, the descriptions might cover the territory, which is disputed. While the “purely scientific process” and the EBSA descriptions do not imply “the expression of any opinion whatsoever […] concerning the legal status of any country, territory, city or area or of its authorities, or concerning the delimitation of its frontiers or boundaries” governments were concerned about potential effects of prejudicing through scientific descriptions. and deeper areas of the oceans to explore its geography and biological diversity. New detection methods, sampling regimes, big data infrastructures, digitisation of historical data and attempts to combine remote sensing and genetics have created new approaches to safeguard marine biodiversity, enhance national biosecurity and track biodiversity monitoring and modelling into the future. Big environmental data sets and automated analysis shape expectation towards new forms of governing the oceans, which is exemplified by the debate over EBSAs and the modalities for modifying their borders. While the adoption of EBSAs over the past 10 years was rather uncontroversial, the question on how to modify them pushed diplomacy to its margins. In the end, governments adopted the new EBSA descriptions without any controversy and decided to postpone further debate on how to modify EBSAS and add new ones to the next meeting of the Subsidiary Body on Scientific, Technical and Technological Advice (SBSTTA) of the CBD (see brackets and unresolved text in CBD COP 14 Decision 14/9) . It remains to be seen if an agreement can be reached at the CBD SBSTTA or at next COP, which will take place in China in 2020.